So far, everything is working as initially planned. I met with my supervisor and we made few modifications to the proposed research plan (details of which will not be posted here). However, in general the meeting was productive and geared towards harnessing my time here to achieve the maximum outcome possible. So, Dr. Pavelic and Mr. Bounmee’s insights were wholeheartedly welcomed and paved the way for an effective collaboration. During our meeting and before we left the room, I told them that one of the main purposes of my work here was to establish a relationship between IWMI and Clark University, so that in the future, other Clarkies could apply and seek research or internship opportunity with IWMI and its affiliates in Laos and other parts of the world depending on the agency’s needs and students’ research or internship interests. They welcomed the proposed idea and suggested for us to explore that option at some point during my work. We ended the meeting with few issues that needed to be worked on and what the team will be doing at the village during our next field visit at Ban Ek Xang (which will be called in the rest of my post B. Ek Xang). 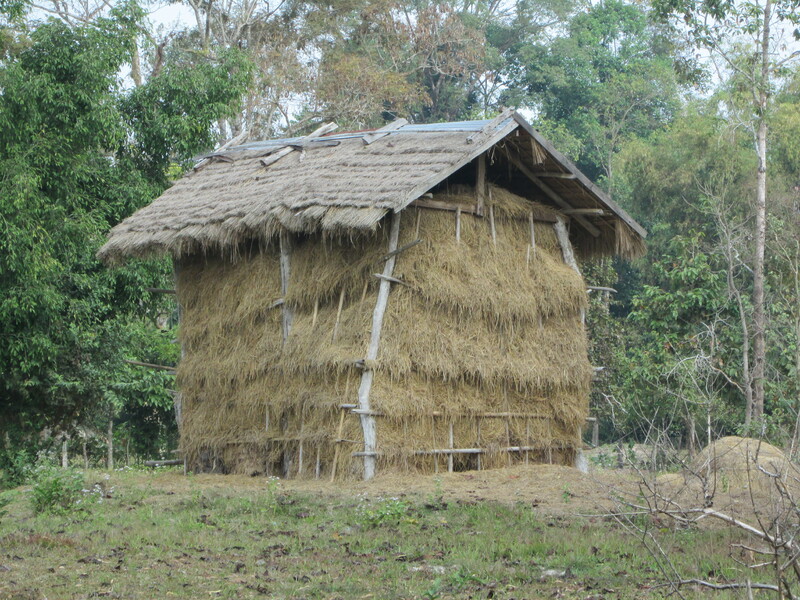 In Laos, a village is known as “Ban” and the name of the village comes after Ban. Thus, transliterating that into English, Ban Ek Xang means village Ek Xang, which would appear in English as out of order, but the Lao, village comes before the name of the specific area. Thus, the name Ban Ek Xang. First we visited the soil laboratory located within the same premises as National Agriculture and Forestry Research Institute (NAFRI) and IWMI. The soil science lab conducts various soil tests in three separate buildings loaded with various equipments and experts. All the tests that are conducted in these facilities follow the standard scientific procedures and results are available within 2-3 days depending on the queue of tests to be conducted. During the time of our visit, soil tests were been conducted to determine the level of soil pH and the available Nitrogen percentage (N %) in some samples brought to be tested by some clients. I was fortunate to watched the tests and see immediate results. For my case, some tests will be conducted at the field and those results will be crossed analyzed using control laboratory techniques and this is where the lab plays a crucial role in the study. Below are few photos from the visit. 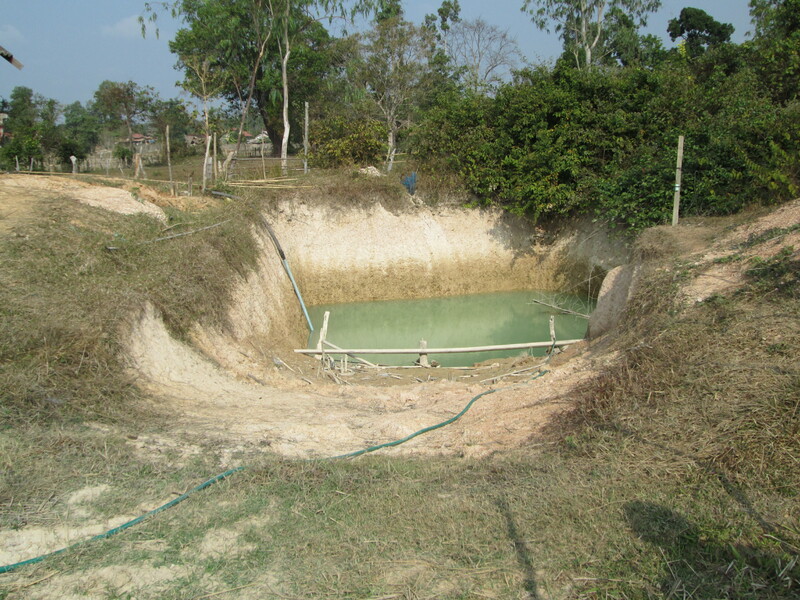 We also visited IWMI’s project sites in Ban Ek Xang located in the Vientiane Province. The travel time using IWMI’s pick-up truck was about an hour and half. 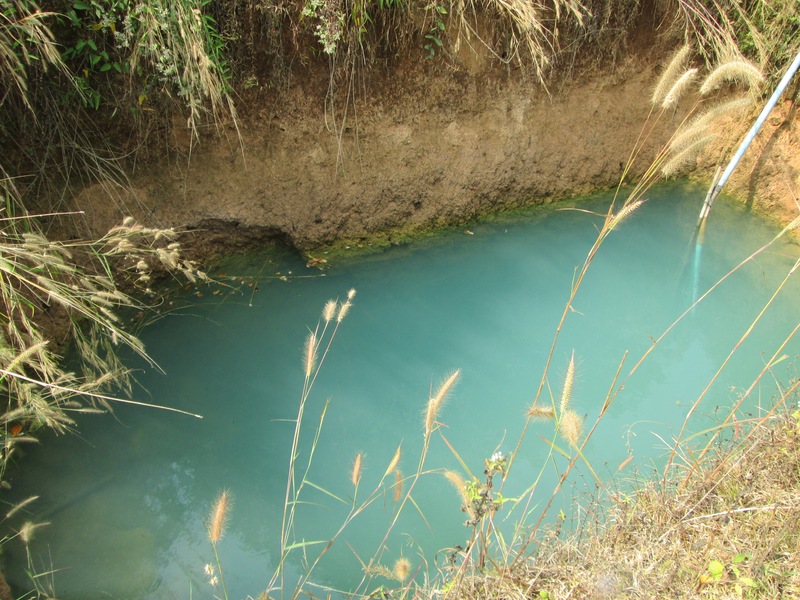 Basically, the trip was intended to establish contact with IWMI’s partners in the village, meet the government agriculture extension officer for the district, meet farmers and visit field sites. It turned out that we got more than what we initially planned. We met all the stakeholders and briefed them about our objectives, scope, resources, and anticipated results. They embraced the project and were immediately onboard with us in the truck for the field visits. The proposed project field trial sites are just located about 10-15 minutes drive from the main town center and the main town where B. Ekxang is situated and the town is known locally as Kilometer 52 (KM52). It is known by that name because of the town’s distance from Vientiane, Laos main capital city. So, as we left KM52 to B. Ekxang, we were driving on a semi-paved (partially paved and unpaved roads), I started to sense the life of a village haven lived in a village setting myself when I was a child back in Liberia. But here in Laos, at least with the presence of NGOs, CBOs, other institutions and the government there are electricity, access to clean drinking water, a health care center,a school, amongst others.Some of which are not always present in most villages in Western Africa or in other parts of the developing world. However, it appears that most of the inhabitants there rely on rainfed farming for their livelihoods as this could easily be deduced from the observation of hug plots of paddy rice fields along both sides of the road as we drove towards the village and also as we entered the village and from vegetable gardens in the backyards of several village households. The backyard gardens in the village fascinated me the most, because small-scale farmers were seriously engaged in some form of vegetables gardening. Vegetables as you will see from some photos from personal observations in the coming weeks form a major component of their diet. Vegetables, specially leafy vegetables are eaten alongside with almost every meal in Laos. Whether or not those vegetables are grown organically or not is a question that is yet to be explored. However, I was told by one of my colleagues that while most farmers use traditional methods to grow their vegetables others also use chemical fertilizers. So, even in the midst of this farming-like community/village, the agrochemical industries were in some way present through their agrochemicals sucking the local wealth of these farmers who work hard everyday. 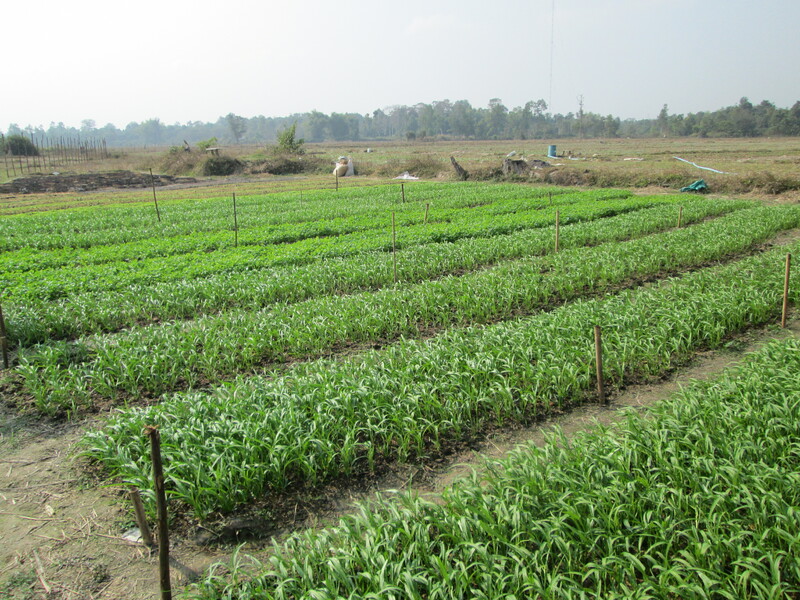 It is not my intention to change how the villagers cultivate their vegetables, but it is my intention to learn from their experiences and also present to them some alternatives from which they could choose to enhance productivity at their household levels through regenerative farming practices and substantially, if possible, limit their reliance on outside chemical uses. A plot of Morning Glory a significant local vegetable crop. It is not to say that farmers in the village are not currently doing organic farming or what I am calling in a fancy way “regenerative agriculture.” In fact, as we drove through the village, I could see what seems to be smoke being emitted out of vegetable beds in several gardens behind the homes of farmers. 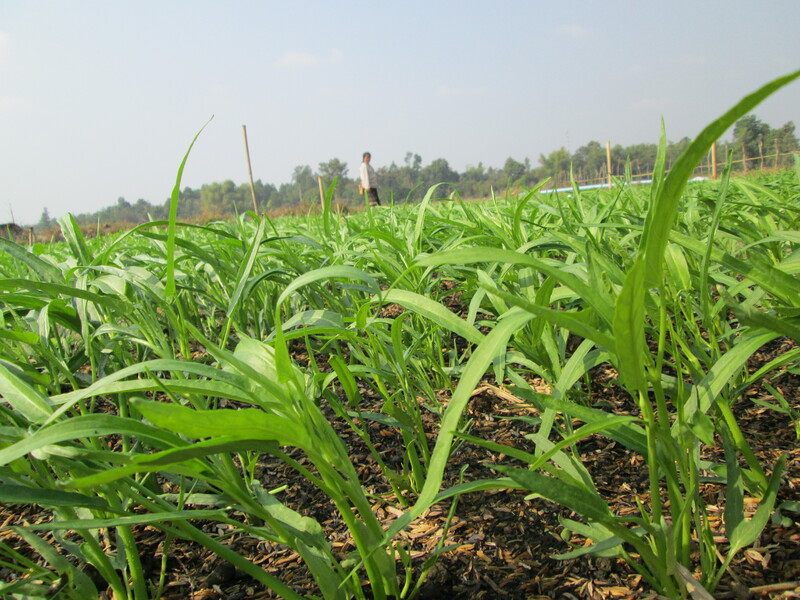 I was immediately impressed that they were in fact already testing some sort of “biochar-like soil management practices.” I said biochar-like because it seems like rice husk after being processed are broadcasted on the raised-beds and fired. The rice husk burn in the open, which mostly turns to ashes and partial char (carbon). 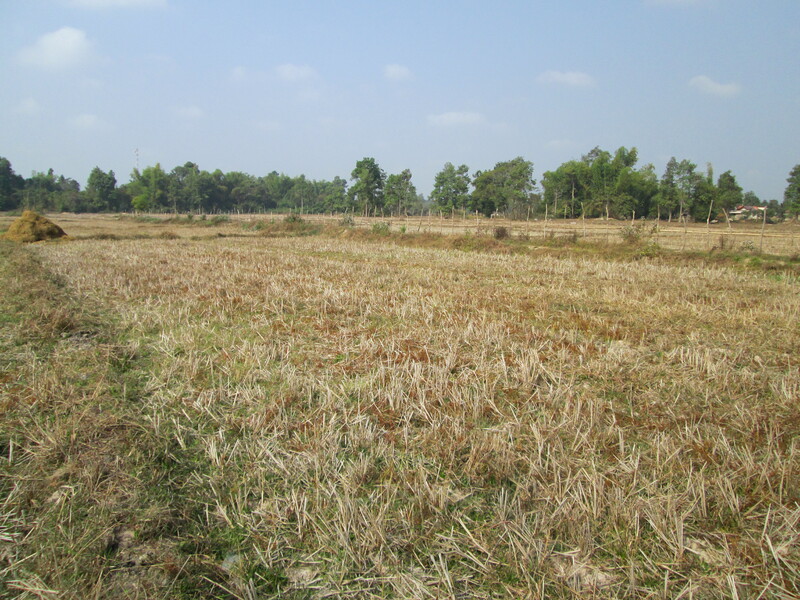 When this is done, farmers plant crops into the bed after a week when the rice husk burned. The results are amazing and you can see the greenness in the leaves and partial darkness of the soil beneath the plant that is also mulched with grasses/rice straw, which prevents weed growth and reduces the rate of evaporation keeping the soil moisture levels in place. Well, what more and different can I offer to this community of organic farmers? Not much, but I could help introducing the biochar system on a much different level and with a biochar production system that can be easily and locally made and operated to produce well quality biochar products not just from plant biomasses, but also animal residues. You can make biochar product through pyrolysis from almost any plant and animal biomass. 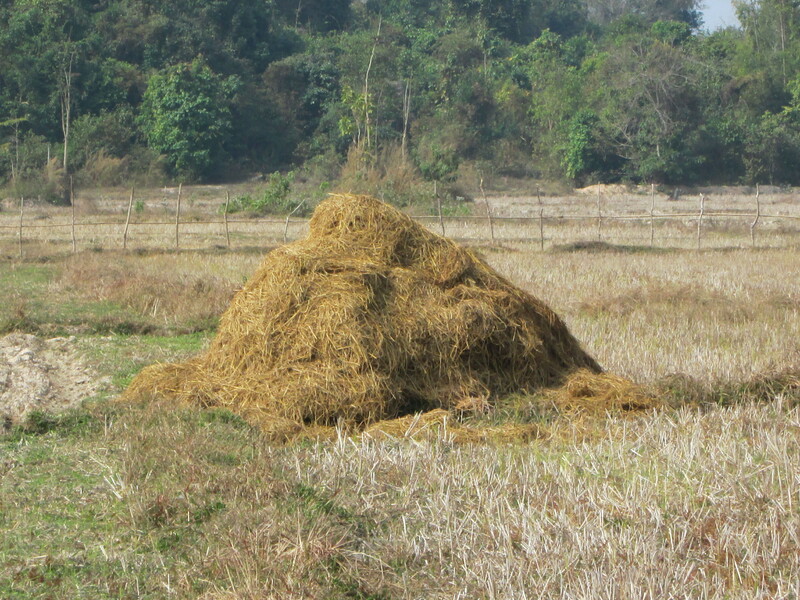 Rice straw biomass for biochar. Storage system for rice straw biomass to be used in paddy rice production. So, it was a learning experience for me to see so much potential at this community and to learn what they have being doing for hundreds of years, if not, thousands. 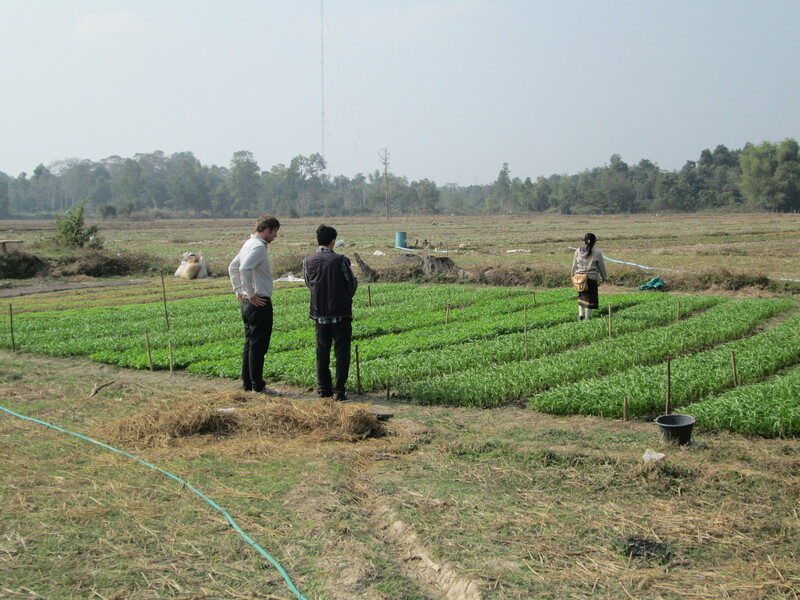 We visited several fields and made occasional stops to speak to farmers along the way. 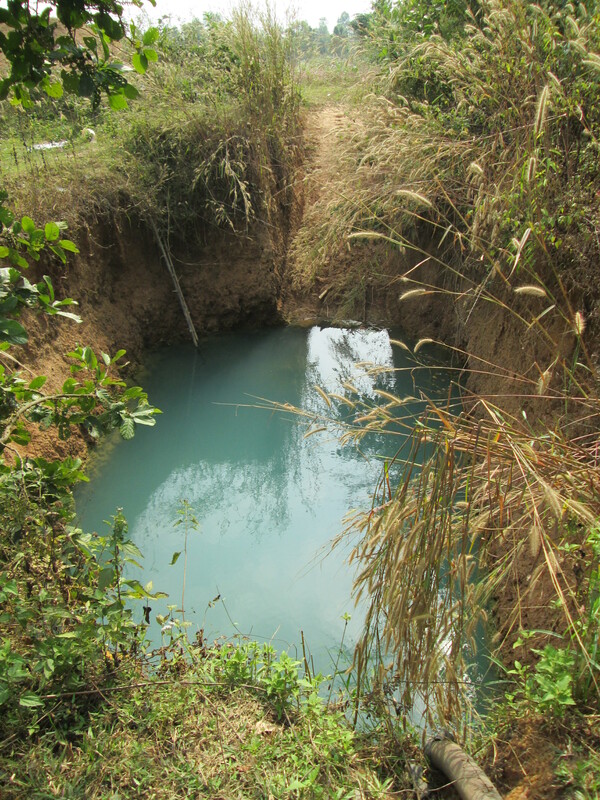 We also visited sites where wells are proposed to be drilled by IWMI once the pilot project gets started at the village. 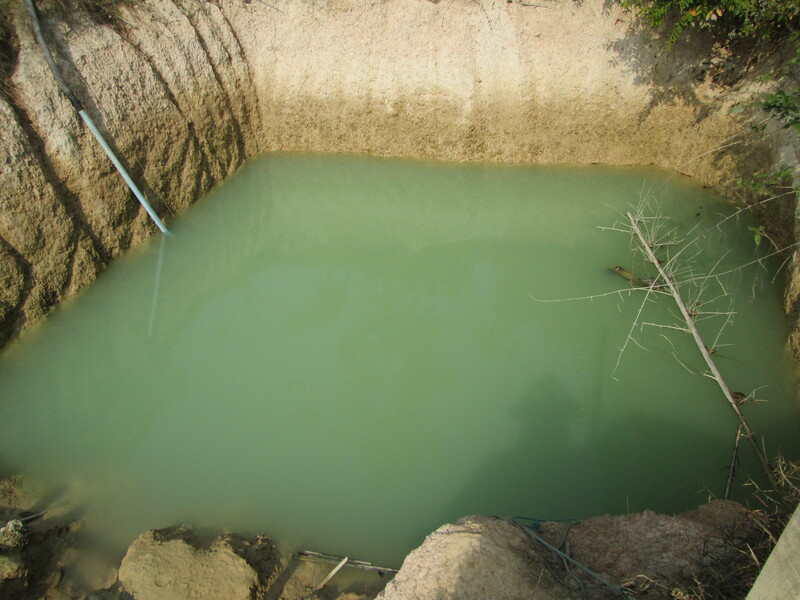 For this project, the site is located at a dug well located on the farm and will be used for irrigating the plots for the experiment. Well at a closer look.